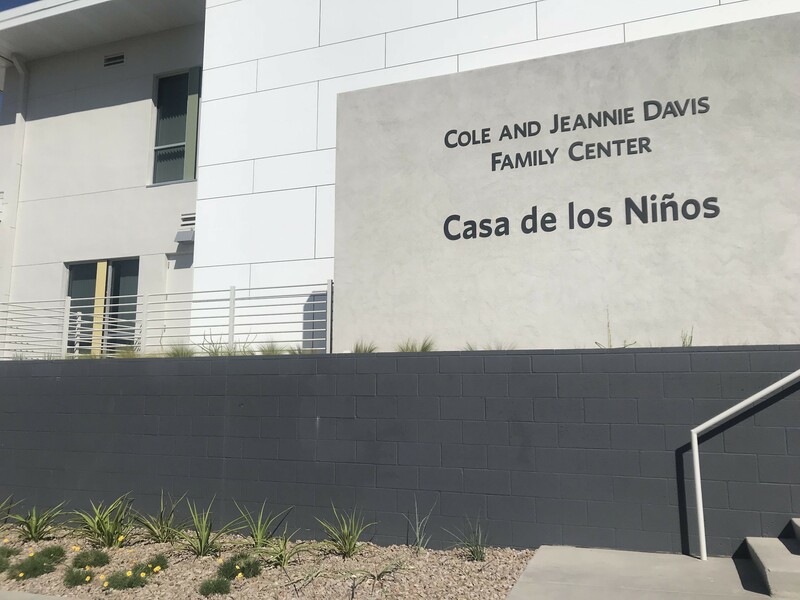 On Wednesday, Sept. 26, candidates for state offices gathered at the new Casa de los Niños family center to discuss the progress and pitfalls of Arizona’s child welfare system. state Rep. Todd Clodfelter (R-LD10), state Rep. Randy Friese (LD-9), LD11 House candidate Marcela Quiroz, state Sen. David Bradley (LD-10), LD3 House candidate Alma Hernandez and LD11 House candidate Hollace Lyon were in attendance. Michelle Crow, the Southern Arizona director of the Children’s Action Alliance, began the discussion by laying out a few key trends in the system. She said that in 2016 the number of Arizona children in foster care peaked at around 18,000, but that number has been on a steady decline ever since. For Arizona organizations that deal with child welfare, Crow said the goal is always to keep children with their parents or family members whenever possible and avoid placing them in the foster care system, unless absolutely necessary. She said that taking kids out of their family circle is an extremely traumatic and disconnecting experience that has lasting effects on their adult lives. “They are more likely to have a connection and feel a sense of love and feel a sense of permanency and stability if they’re placed with somebody that they already have a relationship with,” Crow said. While the best option is to place children with a family member, it is the most burdensome option for the new caretaker. Crow explained that when the Department of Child Safety intervenes and takes a child out of a home and places them with a licensed foster family, that licensed caretaker receives an average of $681 every month to take care of that child. If a non-licensed relative intervenes and takes responsibility for a child without DCS getting involved, they receive no financial support. If DCS is able to place the child with a relative instead of in a foster care home, which is ideal, that caretaker receives an average of $45 every month. This $636 difference puts non-licensed family members at a disadvantage and makes it harder for that ideal familial relationship to be sustainable. Also, many times family members are called upon a moment’s notice to take custody of a child that they are related to, whereas licensed foster care providers are trained and prepared for that event. On a national scale, Arizona is above the average for placing kids with a relative as opposed to foster care or a group home. While this is good, Kelly Griffith with the Southwest Center for Economic Integrity believes it is still very important to pay attention to how the financial capabilities of families can affect the children in the long-term. She explained that these child-care providers lose money by accepting families that qualify for state financial assistance because the government’s reimbursement rates have been static for decades. With limited access to quality child care, children across the state are at risk of falling behind. “Children who attend high-quality preschool are much less likely to participate in criminal activity, when you start looking at the state budget line item, look at how much it costs to house people in private prison facilities … think about that school-to-prison pipeline,” Griffith said. Susan Huhn, executive director of Casa de los Niños, added that the organization will be opening a quality preschool program that will accept DES subsidies in the 85705 zip code, which is significant because there are many high-quality care providers in the area but most don’t take DES subsidies. So what do these organizations want from the elected officials in the room? They want to see a financial investment in the relatives who take care of these children through eliminating the disparity in funds provided to licensed and non-licensed caretakers, making it easier for non-licensed relatives to become licensed and receive that extra money and making high-quality child care an accessible option.